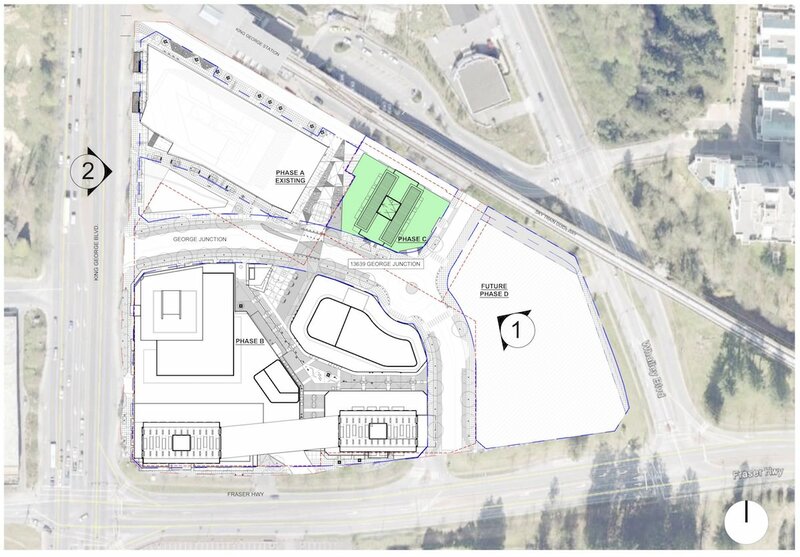 Bosa Properties has submitted an application for their next phase of University District, to be located on the former Brick / Sears outlet site just north of the Safeway near 104 Avenue and City Parkway. 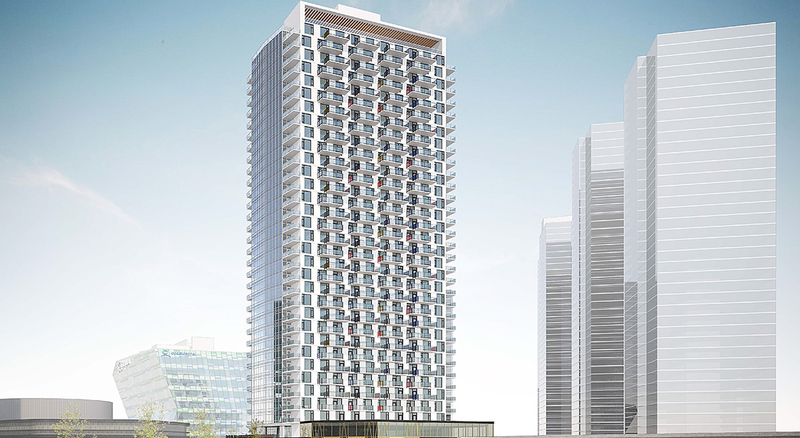 This next phase is to follow Phase 2, known as ‘Blue Sky‘ which is currently in pre-sales and expected to begin construction in 2019. 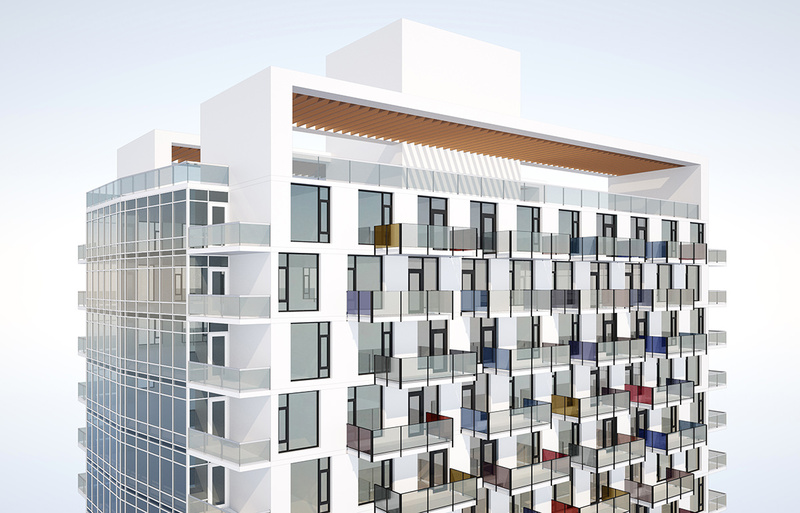 Details of the new application indicate that the project is proposing 1,134 residential units and 104,300 SF of commercial space. 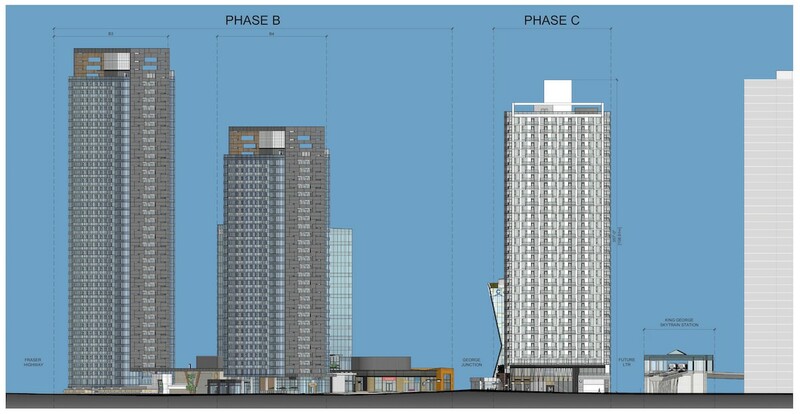 This is likely to translate into up to 4 residential towers above podiums and significant commercial / retail space. 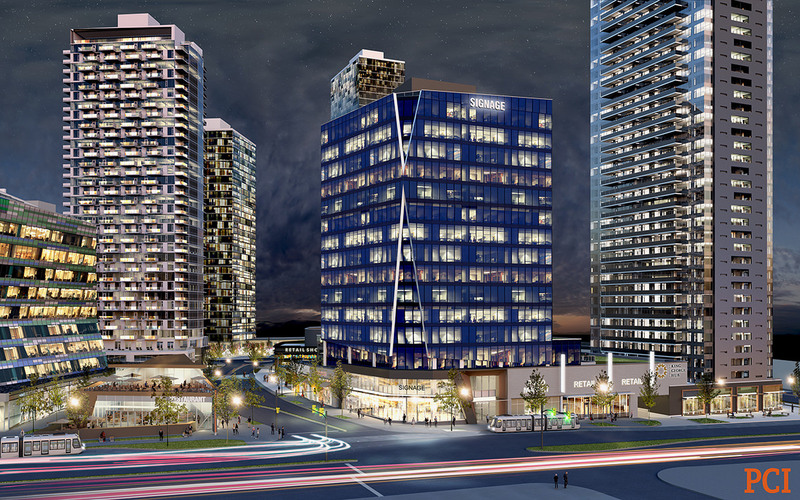 The site, which includes 2 properties – 13583 104 Ave & 13550 105 Ave spans an entire block, with frontages on 104 Ave, 105 Ave and City Parkway. 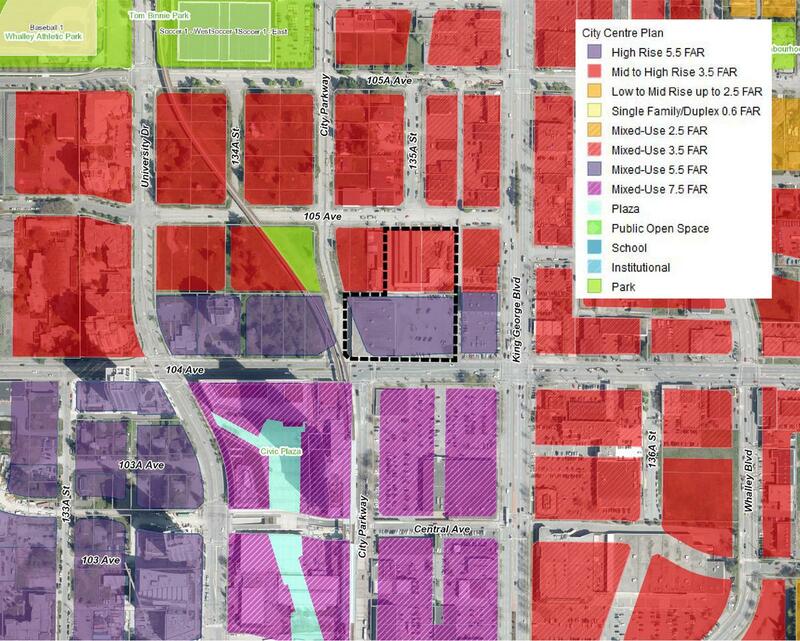 The site also spans 2 designations under the City Centre Plan – with the south portion of the site designated for Mixed-Use/High-Rise (5.5 FAR), and the north portion designated for Mixed-Use/High-Rise (3.5 FAR). 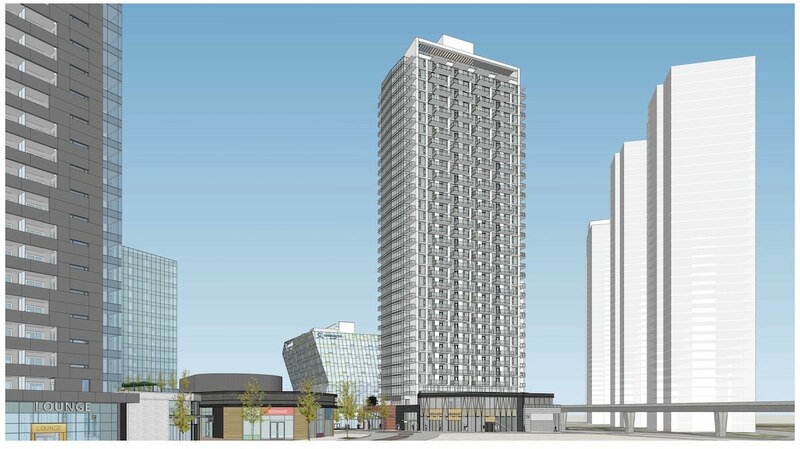 The City Centre Plan allows for density bonuses of 20%, meaning the project FAR will likely be proposed higher than what is designated. 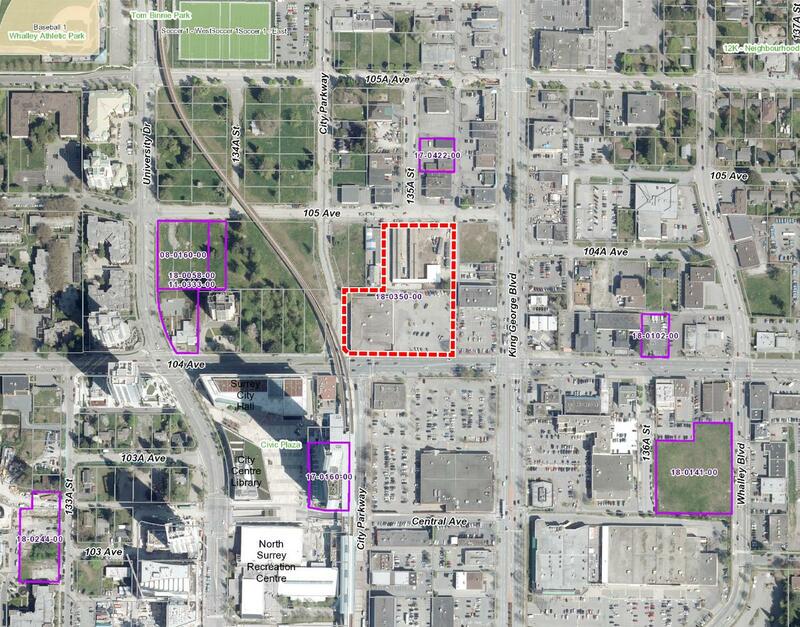 The subject site is a key location in City Centre, in the civic core, just to the north of City Hall and Civic Plaza. Well-fitted to a project at this high profile location, the applicant on the file is Perkins + Will, a renowned international architecture and urban design firm with an office in Vancouver. 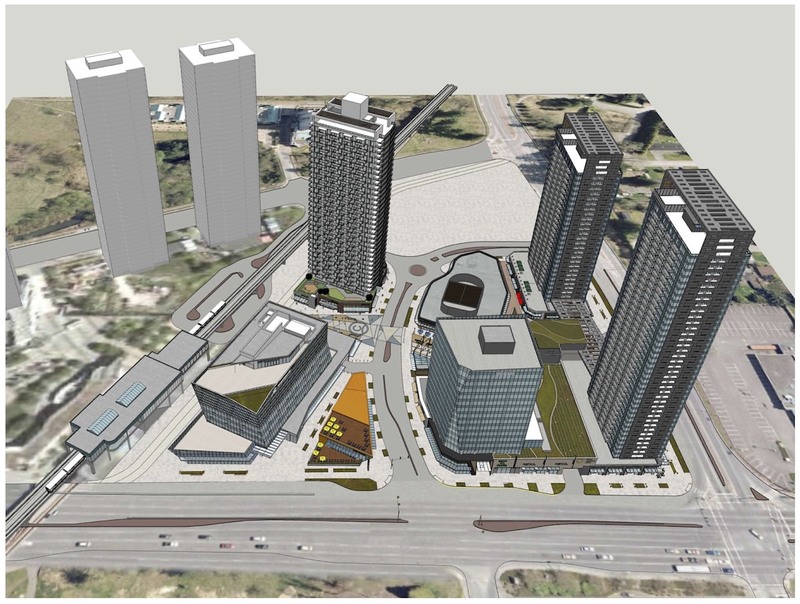 In development of the site, the project will also dedicate and construct a new urban ‘green lane’ running east-west across the site, as well as re-align the intersection of 104 Avenue and City Parkway. 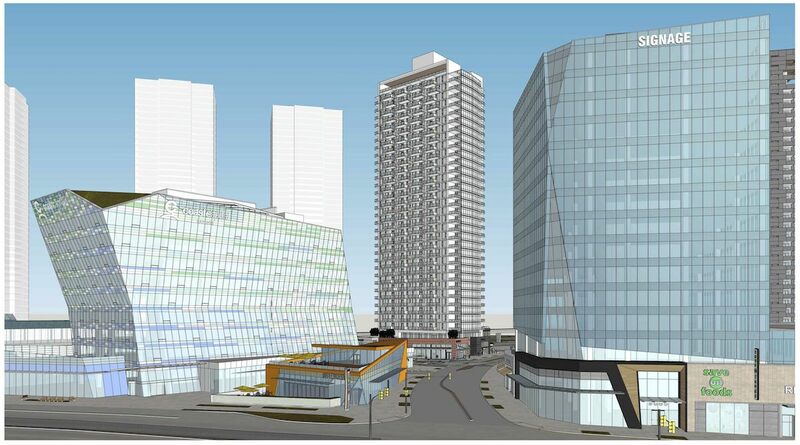 This will result in a continuous City Parkway between Surrey Central and Gateway – and help bridge the gap between these 2 areas of City Centre.